By now, I am sure that most of you who read my site are aware of what happened this weekend regarding WWE NXT Rookie “Daniel Bryan,” better known as Bryan Danielson. In case you don’t know, allow me to recap and enlighten you. Last Monday’s NXT Invasion on Raw was one of the most shocking, yet compelling things I’ve seen on WWE television in years. The eight Rookies from Season One jumped into the ring area during the main event between John Cena and C.M. Punk and chaos ensued. The Rookies destroyed everything in sight, including Punk, Luke Gallows, Jerry Lawler, Justin Roberts, the timekeeper, security, the ring itself, the barricades, and especially Cena. The Rookies left Raw in its wake and we are still looking for answers six days later. Hopefully, they all will be addressed tomorrow night on Monday Night Raw. This is where Danielson comes in. During the mugging, he stripped down Roberts, grabbed his necktie and used it to choke him. Here’s a picture to illustrate. Danielson also spit in Cena’s face as he shouted “You are not better than me!” repeatedly in the WWE Champion’s face. I personally thought that was the best part; I would have loved to see a Danielson/Cena feud or even one-off match at some point. Unfortunately, we might not ever get that chance because the WWE released Danielson for his actions Friday evening. At first, it seemed as if this was a well-disguised work to put over the attack on Monday. The WWE even placed a story on the home page of WWE.com with news of the release and used his real name as well. 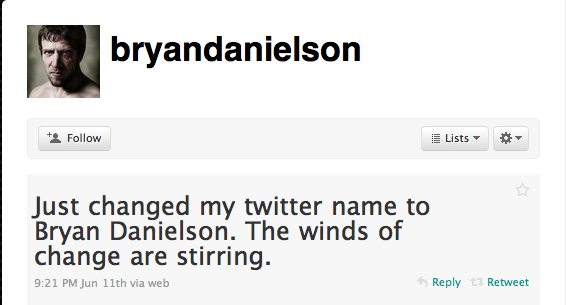 On Danielson’s Twitter, he changed his name back to Bryan Danielson and in response to the firing, he made mention of the “winds of change,” a catchphrase of fellow NXT Rookie and winner, Wade Barrett. Taking this all into account, it would seem as if this was a complete work. Yet, as news became available, the kayfabe element of this situation quickly disappeared. It appears as if Danielson’s departure was legitimate. Wrestleview, via the Wrestling News Observer, reported that the “higher ups” at WWE were informed before the decision was made and eventually the creative team was made aware of the firing. Wrestleview also reported that it was Danielson’s choking of Roberts that ultimately spelled the end of his WWE tenure. Choking was deemed “too violent” for PG television and after the incident involving Chris Benoit and his family several years ago, the WWE has attempted to limit “choking” on television, much like it has limited blood. A lot of things have come into play and now that we have the facts, I would like to share my opinion. I find it very hard to believe that the WWE would go through all of this trouble if this wasn’t actually real. The timing of the initial report definitely gave the impression that this was an elaborate scheme to put over the events of Monday. There are still things that make me think that this could be an scheme (especially the “winds of change” Twitter comment), but I am not convinced just yet. Another interesting thing I have read comes from PWInsider’s Dave Scherer, who believes Danielson might have been the “fall guy” for an incident that could have derailed Linda McMahon’s political campaign. I think this is as real as it gets, but it still leaves me with some questions. Will the NXT stable be able to get over with the crowd without Danielson? If choking was an issue, how come Heath Slater wasn’t fired? He choked Cena with the ring ropes. Why is his NXT profile still active on WWE.com? Wrestleview reported that Danielson was well-liked backstage and he might be able to come back once things resolve themselves. Is this remotely true? What I do know, however, is that either way, this is the most talked-about incident in the WWE in ages. Only time will tell. When reality shows end, they usually go on several month-long hiatuses. WWE NXT Season Two? It starts next week. The WWE is wasting little time bringing back the concept and the eight Rookies and their respective Pros have already been announced. These fresh faces will compete once again for the title of WWE’s Next Breakout Star. This is a season preview of sorts; I will introduce the Rookies, detail their backgrounds, show some video clips of them in the ring, describe how I think they will interact with their Pro, and finally, make a prediction of who will win NXT. So far, the only change we know about Season Two deals with the voting process. According to Josh Mathews and Michael Cole, the WWE Universe will now have a say on who goes where in the Pro’s Poll. The Pros will hold 50% of the vote, while the fans can vote online at WWE.com for the other 50%. Husky Harris, better known as “Duke Rotundo” in FCW, is a third-generation wrestler. His grandfather is Blackjack Mulligan and his father is I.R.S., a former tag champion. In FCW, Harris competes as part of a tag team known as the “Rotundos” along with his brother, Bo. He is a one-time FCW Tag Team Champion. I thought Cody Rhodes was an interesting pick. Since both have blood lines in the business, I am sure Rhodes will make it known that his family has been more successful, causing a riff between the two. I see their relationship playing out much like Darren Young and C.M. Punk; Rhodes will do his best to feign interest, but ultimately will throw Harris by the wayside unless Harris adapts to Rhodes’ in-ring acumen. Eli Cottonwood is listed at over 7 feet tall and is the first “monster” that NXT has had. He once had a basketball career, graduating from St. John’s University in New York, competing overseas, and even signing two developmental deals with the Milwaukee Bucks and Dallas Mavericks. This is a definite mismatch in terms of in-ring style. Morrison is a high-flyer with tremendous speed and agility. With Cottonwood’s obvious size and strength advantage, I am not sure how Morrison will really be able to impart his wisdom on Cottonwood. I can see the two getting along. Kaval, better known as “Low Ki,” is this season’s Bryan Danielson. Kaval has had runs in Ring Of Honor (where he was the first ROH Champion), ZERO-ONE, and TNA (where he was a former X Division Champion). He is a 12 year veteran and should be the “internet darling” as Michael Cole would call him. Unlike Danielson, however, he is much more stern. Speaking of Danielson, here’s a match between the two from FCW. The comparisons to Danielson continue with Kaval’s Pro pairing. LayCool are the first Diva Pros. Their snootiness, much like the Miz’s, will definitely clash with Kaval’s no-nonsense attitude. This will be the most entertaining pairing to watch for sure. A former college and professional football player, Titus O’Neil could be the most physically imposing Rookie on this season’s NXT. Zack Ryder is a character to say the least. Depending on which way O’Neil goes (heel or face), this could be fun or painful. Lucky Cannon, or “Johnny Prime” in FCW, has been competing in WWE’s developmental territory for a while now. Not much is known about Cannon, so we are in for a surprise. Mark Henry should be able to mold Cannon into his image. Cannon is a big guy and, with more agility than Henry, could be a superior version of the World’s Strongest Man. Alex Riley is the current FCW Heavyweight Champion. Arriving in WWE three years ago, he has been a regular in dark matches before Raw and Smackdown. This is a match made in heaven. Riley is more or less a miniature Miz (not in size, but in attitude). These two will gel from the start and I can see these two making a huge impact on NXT. Hailing from South Beach, Percy Watson was a member of the “South Beach Boys” in FCW along with Season One Rookie Darren Young. M.V.P. is from Miami, and even though he mentioned on the NXT finale that Miami and South Beach are two different entities, I think these two will get along just fine. M.V.P. was originally going to be the Pro for Skip Sheffield on Season One, but Watson is a much better fit for him. I think Watson might be the wild card in this competition. Now this is a shame. Michael McGillicutty is actually Joe Henning, the son of “Mr. Perfect” Curt Henning. I have no clue as to why the WWE decided not to acknowledge this on NXT. He is a former FCW Heavyweight Champion and two-time Tag Team Champion with Brett DiBiase in a team known as the “Fortunate Sons.” Reports surfaced linking McGillicutty and DiBiase to Brett’s brother, Ted, and reforming the Fortunate Sons as a heel stable. But Brett injured his knee and this might be Plan B for McGillicutty. Kofi Kingston will be a great mentor to McGillicutty in two ways. If he goes face, these two could easily steal the show. If he goes heel, I could see a feud between the two that would definitely spark interest. Keep an eye on this one. These three are the most experienced and WWE-ready coming into the competition. In Season One, Danielson didn’t need to win because his stardom was already established. If Kaval follows the same trend (as I detailed above), he won’t need to win either. I doubt the WWE wants two heels to win the first two seasons of NXT, so if McGillicutty debuts as a face, he will be my favorite for WWE NXT Season Two. With last night’s televised Draft and today’s online Supplemental Draft officially complete, it is time to look more closely at the moves made to each respective brand. While this draft didn’t have any “blockbuster” moves, some were definitely surprising and interesting. 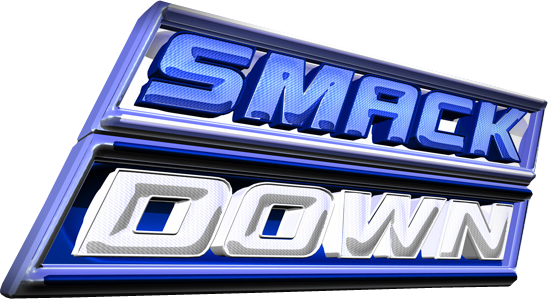 I will break down both Raw and Smackdown as a whole and by each Superstar. Raw definitely got the better end of the deal, which seems to always happen, considering Raw is the “flagship” show and Smackdown’s currently going through a network switch. The addition of John Morrison, Edge, and Chris Jericho will definitely add to the main event scene, while new tag champions the Hart Dynasty might help to reinvigorate the tag team scene. 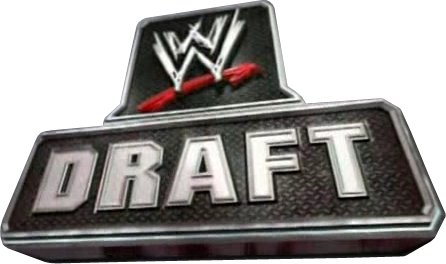 Overall, an intriguing draft for Raw. John Morrison – My theory of Morrison being next in line for Swagger’s title is officially ruined. He gets more exposure now, but he is much further down the face totem pole, behind Cena, Orton, and Triple H. Morrison is over with the crowd and that should continue, but he will have to work harder to get to the top. Morrison might get a crack at the Miz’s U.S. Title, but with Cena as champion for now, his main-event status is much lower than it was before. R-Truth – This isn’t a “life-changing” move for Truth. He will remain in the mid-card and do what he did on Smackdown. Having Morrison move with him allows them to keep their team together and challenge for the titles down the road. A feud with DiBiase seems likely after last night, which would be entertaining. Hopefully, it won’t be like his last time on Raw. You know, when he exploded. Edge – Edge moving to Raw was the biggest shocker of the night. After a hot angle with Jericho, Edge gets a fresh start. He interfered in the #1 Contender’s Match by spearing Randy Orton and costing him the match. Since he didn’t go for Batista or Sheamus, I assume he will fully transitioning back into a heel. He got a babyface reaction upon his return, but he always was more of a tweener. An Edge/Orton feud would be fun and refreshing, since it hasn’t been done since Edge returned from injury about five or six years ago. As long as we don’t get Edge/Cena right away, this is a great move for Raw. Chris Jericho – Just when I thought Edge/Jericho would be over, Jericho moves to Raw. After fighting to stay on Raw after losing the tag titles, he is back on Raw and it’s about time. There really is nothing left on Smackdown for Jericho. He could continue his feud with Edge, either directly or indirectly through the WWE Championship picture. He can also team with the Miz (on their mutual hatred for the Big Show) and challenge for the tag titles. There will plenty for Jericho to do and I look forward to seeing what transpires. The Great Khali & Ranjin Singh – I thought he was on sabbatical. Maybe he will be released before he comes back. i don’t know or care. Natalya – This move was interesting considering the Dynasty’s win last night. Natalya is an amazing wrestler and will inject some life into a dormant Raw Divas scene. Ezekiel Jackson – Currently suffering from injury, the last ever ECW Champion seemed like he would be getting a big push on Smackdown. Jackson is a perfect fit for the mid-card and could possibly even move to the main-event scene in the future and challenge for a title. It will be interesting to see how he functions without William Regal in his ear. Goldust – Goldust is one of the WWE’s best enhancement talents and will continue to flourish at the role on Raw. He won’t be getting any big wins anytime soon, but that is not why he is there. The Hart Dynasty – After Natalya’s move, this was natural. The Hart Dynasty finally got the push it deserved, especially with Bret around. Since they are the champions, the Dynasty can move between shows, but having them on Raw will give them more exposure and more possible opponents. Smackdown lost too much and didn’t gain a lot back in return. Yet, the Blue Brand got three possible challengers to the WHC and some mid-card talent to help enhance the brand. Not a bad showing for Smackdown, but as always. never as good as Raw. Kelly Kelly – The only Diva making a move on-air last night, Kelly Kelly will get a look on Smackdown. I don’t see much from her, but she is improving and will be another “credible” Diva on Friday nights. The Big Show – After punching out the Miz, Show moves to Smackdown, where it looks like he will have another face turn. He is much more believable as a face and could possibly be in the hunt for the WHC. 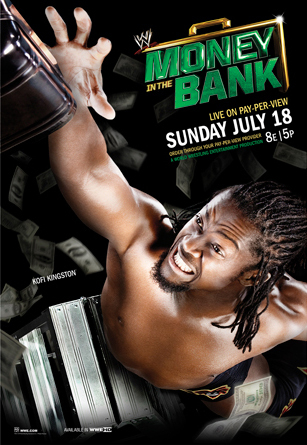 Kofi Kingston – A good move for Kingston, who has floated around since his program with Orton ended in December. He will fill Truth’s role on Smackdown and finally gives me a possible usurper to Drew McIntyre’s IC Title. Christian – With Edge and Morrison moving to Raw, Christian has been elevated to main-event status. Another rivalry with Swagger would be fun, this time over the WHC Title. These two had chemistry on ECW, so we know it will work. Finally, Captain Charisma gets the push he deserves. Chavo Guerrero- Not too much to say. Maybe he will get more respect? Cody Rhodes – An interesting and predictable move post-Legacy. Rhodes would be the perfect mid-card heel along with Ziggler and McIntrye. Chris Masters – Chest-bouncing on Fridays. Rosa Mendes – Rosa moves to Smackdown and probably won’t do anything. I am surprised not to see Zack Ryder move with her. M.V.P. – No one will benefit from a move more than M.V.P. After being drafted to Raw last year, he received a big push before languishing in a tag team with Mark Henry. Going back to Smackdown will work wonders for M.V.P., who made his name there. Like Christian, he has automatically been elevated to main-event status. We know he can work with Swagger after their mini-feud last year. Great move. I should be writing this in June, but since Extreme Rules has replaced Backlash, what I feel was the most important non-“Big Four” (well, technically “Big Three” since Survivor Series has been axed) pay-per-view on the WWE schedule, I am bringing you my Extreme Rules predictions in late April! The WWE has given us quite the card. It is Grudge Match City. Population: the WWE Universe. Live from Baltimore, it’s Sunday night! P.S. 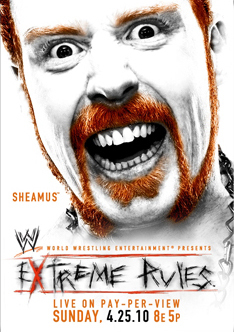 “Time to Shine” by Saliva is the official theme song of Extreme Rules. This band needs to put out a “WWE Greatest Theme Song Hits” album or something considering it has at least two songs involved in WWE every year. But I digress. I’m not sure what to make of this match. It was bound to happen. Phoenix has transitioned into a fan favorite quite well and she still is, in my opinion, the most impressive woman in the WWE. It would be easy to say that McCool will walk out the winner here. Her buildup with Mickie James took months before James finally went over and won the title, only to lose it right back to McCool. There is an interesting dynamic going on here with McCool, Layla El, and Vickie Guerrero and their momentum is riding high. But I feel it would be interesting to see how LayCool chases the title for more than a week. I will go out on a limb and say the Glamazon takes the victory and wins the title. There was a lot of shock when Shad turned on JTG and ended Cryme Tyme. Sadly, there was not much more of a reaction. If Cryme Tyme had been more of a successful tag team, perhaps the breakup would be more poignant. Shad beat Goldust this past week on Superstars in his first televised match since his heel turn and put in a good effort. The WWE does not need to build up JTG right now; he is already an established superstar of sorts and we know what he is capable of. Shad Gaspard, however, does need to be built as a credible heel and superstar for the future. For that reason, Shad wins. C.M. Punk v. Rey Mysterio (if Punk loses, he must shave his head). Can you remember the last time C.M. Punk won at a pay-per-view? In case you forgot, he has not won on pay-per-view since Breaking Point. That was in September. And he won thanks to a “screwjob” of his own in Montreal. So, in reality, C.M. Punk has not won a match at a PPV clean since his TLC victory over Jeff Hardy at Summerslam EIGHT months ago. For a guy with such a growing profile, Punk cannot continue to lose like that. Rey has had the upper hand in most of the feud in terms of winning, while Punk’s promos have trumped Rey’s handily. After winning at Wrestlemania and not having to join the Straight Edge Society, this time around, Rey has nothing on the line. If he wins, he gets to shave Punk’s head. If he loses, so what? I see this feud continuing long past Extreme Rules and possibly into Summerslam. For that to happen, Punk needs to go over. Plus, can you imagine Punk with his head shaved? Weird. And with his hair getting a small trim this past week on Raw, I cannot see it getting completely shaved off. Maybe this stipulation will arise again at a later time with Punk losing and possibly marking the end of the SES, but for now, Punk wins. I think this match was quite downplayed by being announced over WWE.com, but the match should be another great one between two exceptional competitors. I have no idea how long this feud will last. It really began last July with Edge’s interview after rupturing his Achilles tendon, but picked up at the Royal Rumble. I was shocked (as I think most people were) when Jericho went over at Wrestlemania. Like the Punk/Rey feud, I see this going much further than Extreme Rules and Edge needs some sort of victory to gain momentum and allow the story to unfold. Either way, I am just glad we didn’t get the Triple Threat at the PPV. I apologize now if all of my match predictions begin to run together. Including the aforementioned matches, this is yet another grudge match with an almost predictable outcome. Sheamus got a major rub by becoming the WWE Champion at TLC in December. When I watched as John Cena fell through a table at TLC, my mouth was agape. I cannot remember having that feeling since I was a child. He gets the “win” over Cena and a DQ win over Randy Orton at Royal Rumble, but to this day, still has no clean victory over a major competitor. He did not factor into the decision when he lost the title at Elimination Chamber when Triple H Pedigreed him to eliminate him from the match. I thought Sheamus would win at Wrestlemania, but of course, Triple H gets the victory. Just like it was important for Sheamus to hold onto the WWE Championship for a few months to gain credibility, he also needs a signature, clean victory to solidify himself as a main eventer. That win will come tonight when he finally gets one over on the Game. For the second straight April, John Cena will be defending his title in a Last Man Standing match. Last year, he lost to Edge thanks to a chokeslam through a searchlight by the Big Show. This year, I cannot see any major interference. When Cena first won the title back at Wrestlemania 21, his reigns were very long. His first lasted 280 days, his second 133, his third 380. Since then, it’s been 21, 49, 0, and now about 28. Cena must be seen as a credible champion once again. Batista is a great pursuer of the championship, but I think Cena will dispatch of Batista and find himself a new challenger. But whom? Only time will tell. In the mean time, the Champ is still here. Remember when Swagger moved from ECW to Raw last summer and got himself intentionally counted out against Orton because he wanted to make a good first impression? Well, no better way to make good on this impression by beating Orton at Extreme Rules, which he will. I am glad Orton got the title match because it made sense. If you beat the Champ twice in a row, you deserve a title match. Here we go again: Swagger needs to retain in order to gain credibility. It will not end cleanly. I could see a returning Cody Rhodes interfering and costing Orton the title. If this wasn’t under Extreme Rules, I’d say Swagger wins by DQ. But it isn’t so I can’t. Swagger retains.